Marilyn Monroe and Bobby Kennedy got into an argument on the day that Monroe died, according to new files released in the past week. He did not elaborate on how she died. The most widely accepted theory of her death was an overdose of barbiturates and was likely a suicide. Monroe became increasingly difficult to work with and unreliable in her later years. The documents, published by The Hollywood Reporter, belonged to Fred Otash, a private detective based in Hollywood. His daughter, Colleen, uncovered the files in a storage unit. Otash, who died in 1992, said that on Aug. 5, 1962, Monroe had an argument with Robert Kennedy. “It was a violent argument about their relationship and the commitment and promises he made to her,” he wrote. “She was really screaming and they were trying to quiet her down,” his notes added. Otash claimed that Monroe had a sexual relationship with both Kennedys. 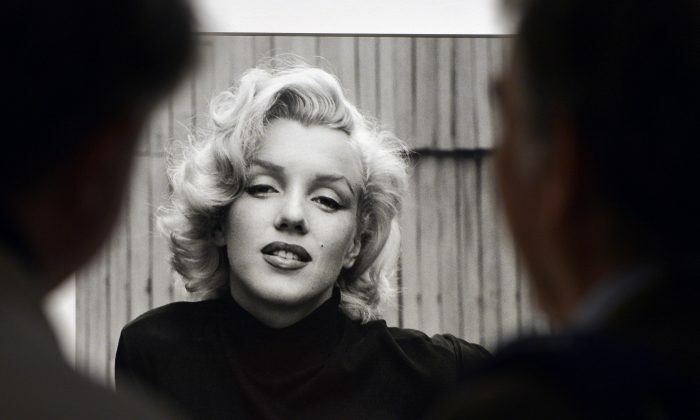 “Marilyn wanted a mini-phone listening device,” Otash said in his notes, and said that he spied on Monroe when she was giving him money to install recording equipment to tape her phone calls. He said that he learned about her death only after an associated told him hours later. In 1985, he told the Los Angeles Times that actor Peter Lawford told him to “do anything to remove anything incriminating” from the home where he spied on Monroe. His files also include accounts of Judy Garland removing pills and alcohol from her Beverly Hills apartment after she separated from her husband. “I didn’t see any purpose of getting involved. . . . I’m not being paid. I’m not writing a book. I’m not making a point. If I wanted to capitalize on my relationship in this matter, I would have written my own book,” he told the Times in 1985 on not making his activities public.